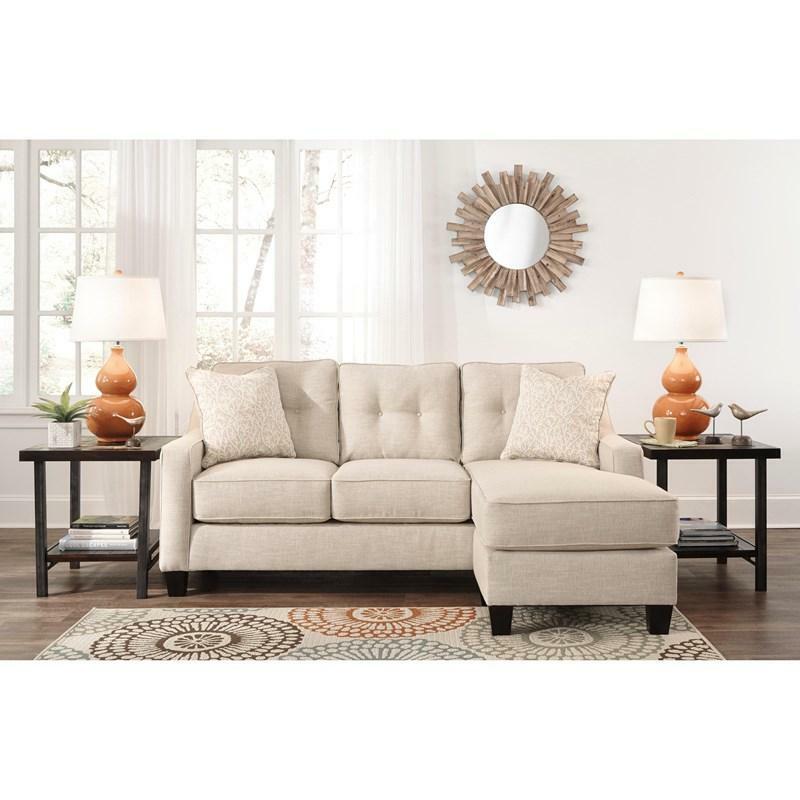 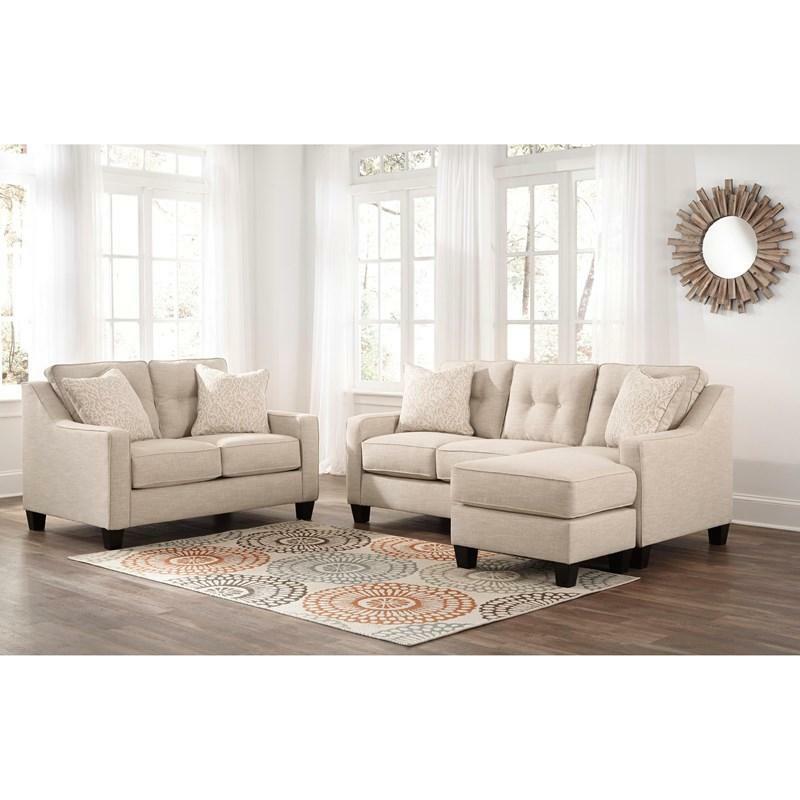 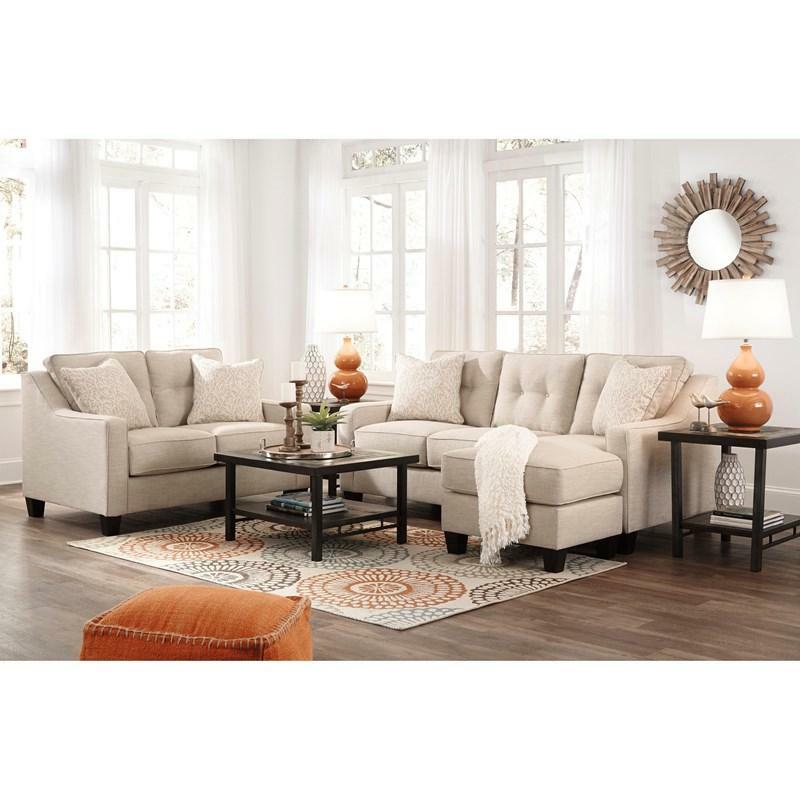 Whether you have kids or pets, or you simply love a low-maintenance way of life, the Aldie Nuvella™ living room set will surely have you sitting pretty. 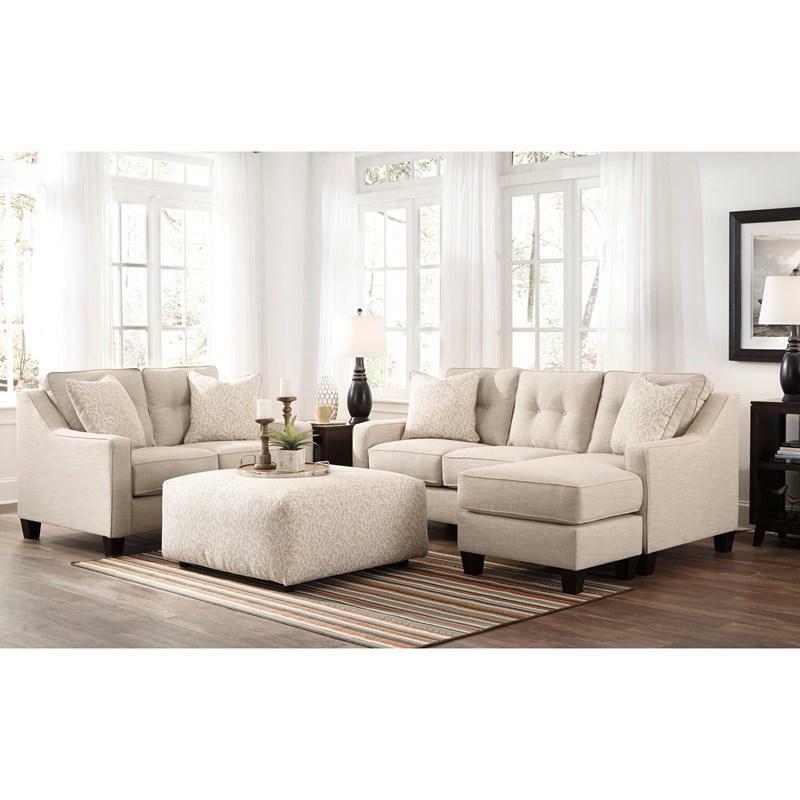 Plush to the touch yet incredibly durable, its stain- and abrasion-resistant Nuvella upholstery is a dream come true. 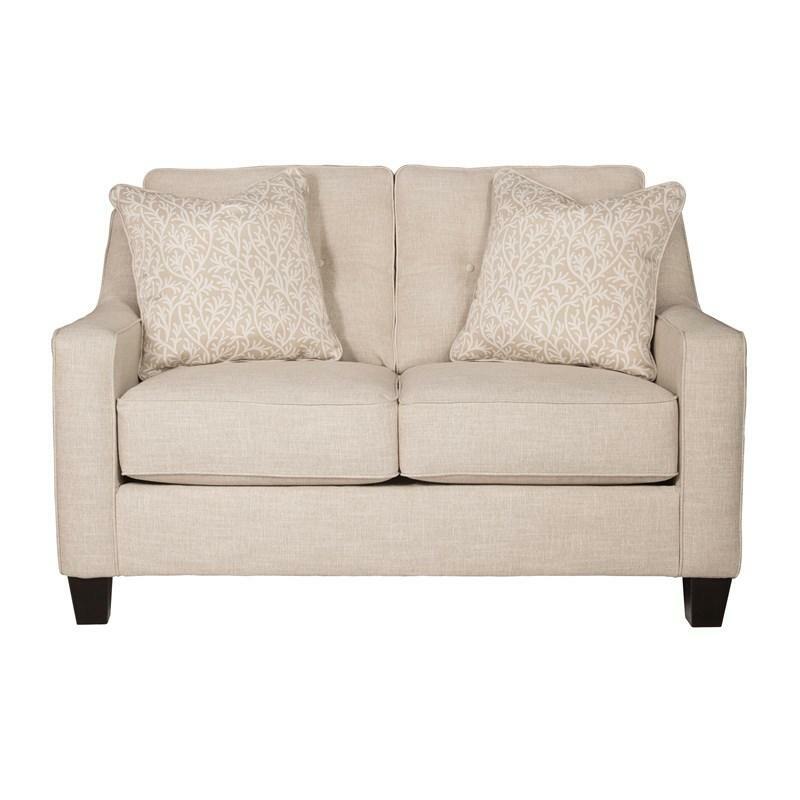 And talk about no muss-no fuss design at its best. 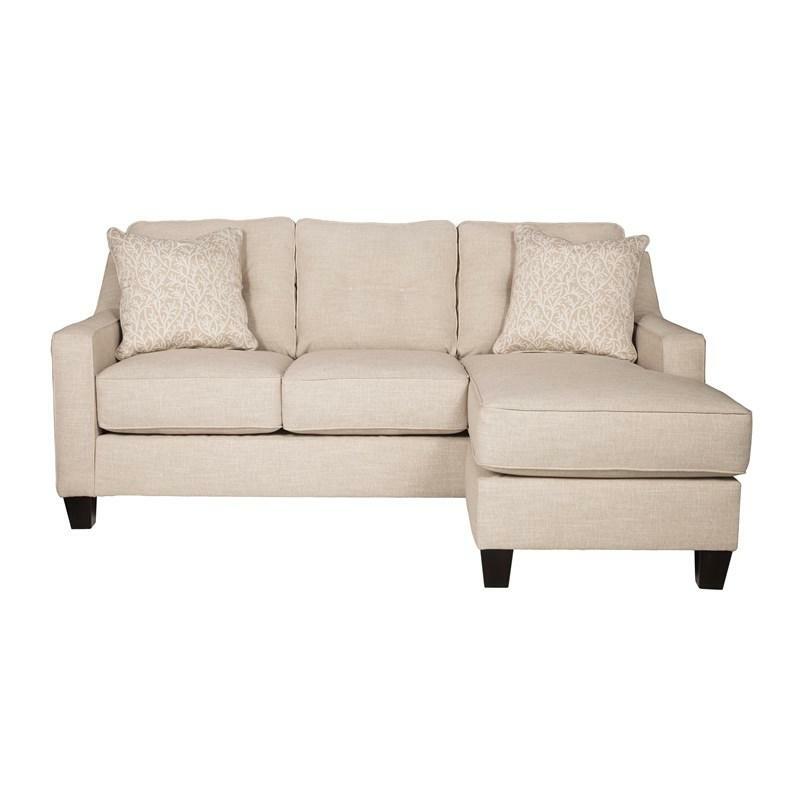 With its crisp, linear profile, sleek track arms and button-tufted back cushions, what a beautiful interpretation of mid-century modern style. 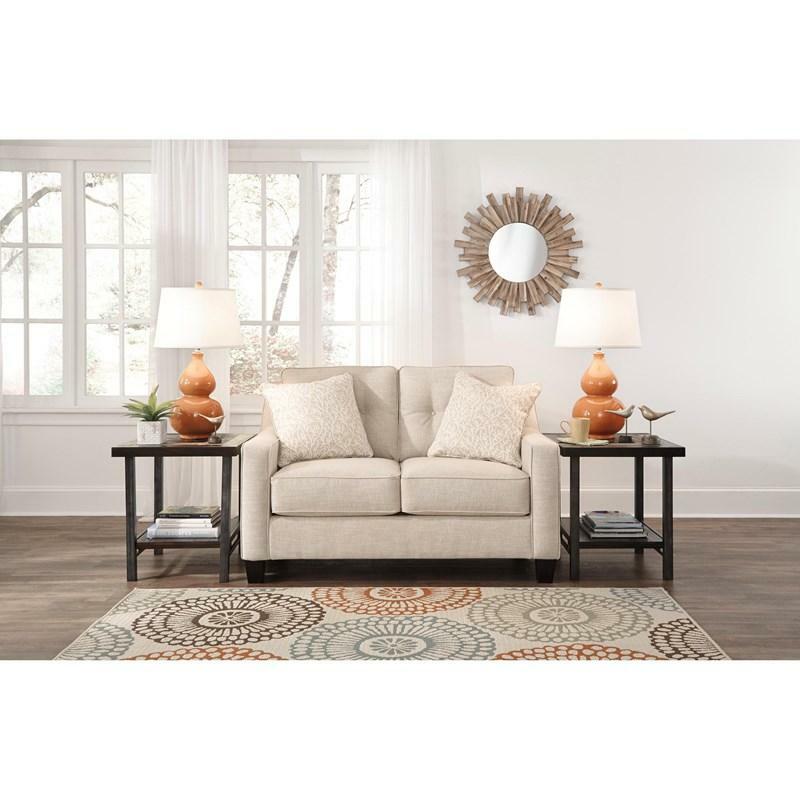 This set includes a sofa chaise and a loveseat.